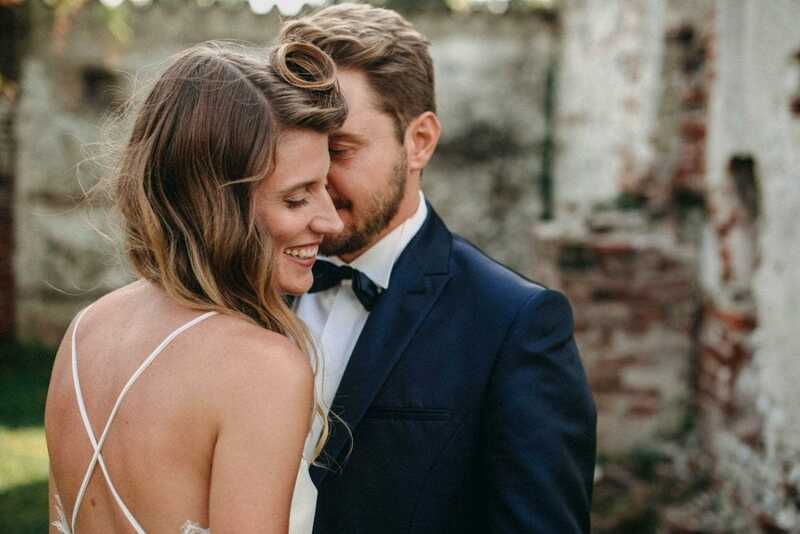 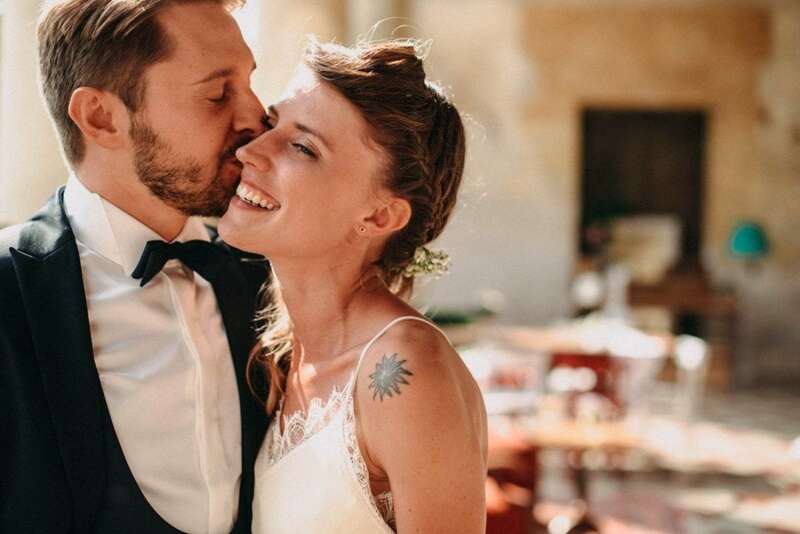 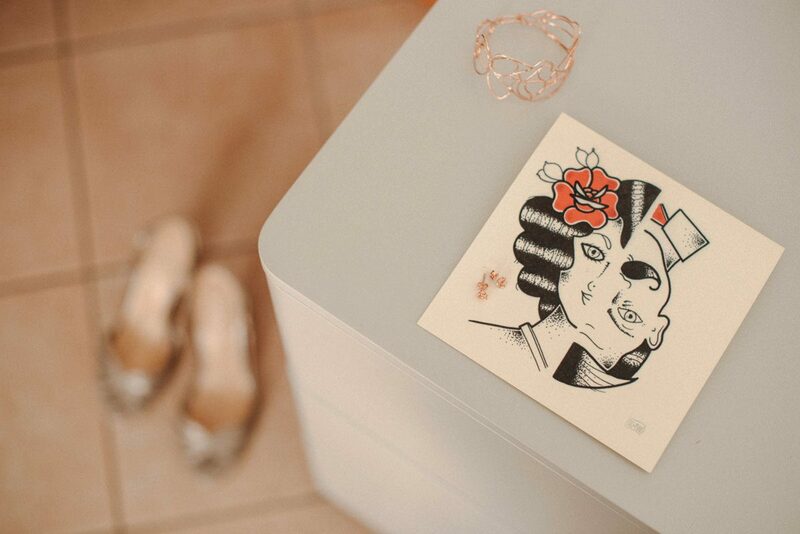 I absolutely LOVE the style of this wedding! 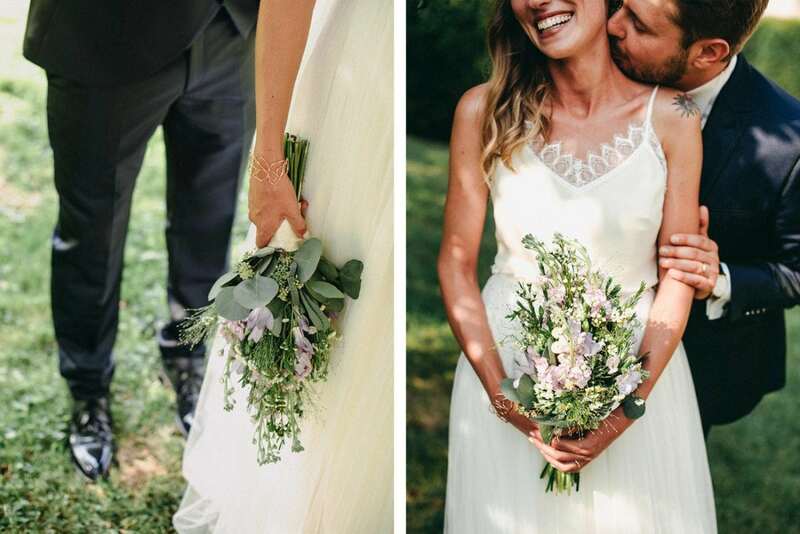 I really like when couples decide to create something special for their wedding, making it unique in every single detail. 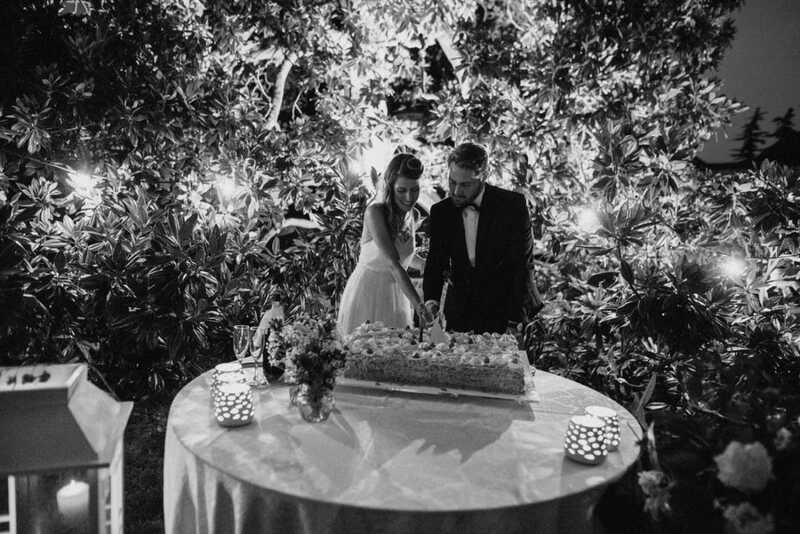 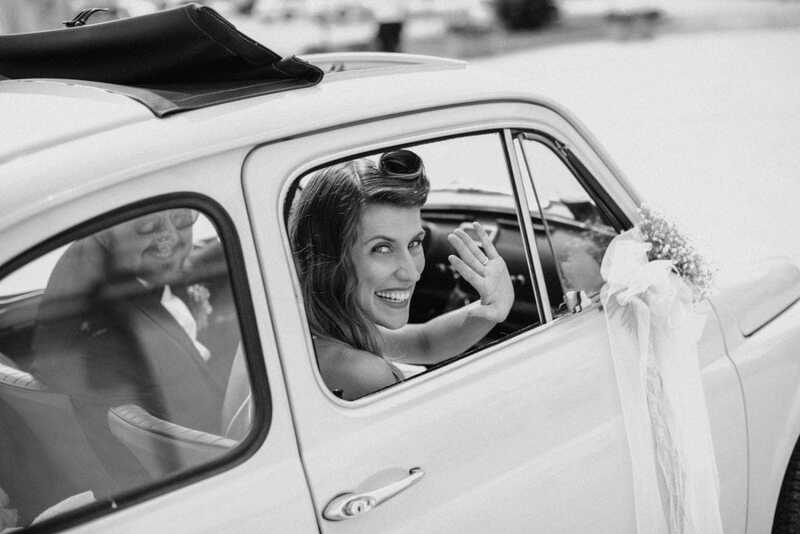 Sara and Simone planned the perfect vintage wedding in Italy, unique in all its details: from the bride’s hairdo to the choice of the flowers, from the Villa to the real-vintage furniture, up to the wedding invitations (designed by Sara’s brother) and to the choice of the music, in a 40s-50s-60s style for the aperitif, and 70s-80s-90s-2000s for the evening party. 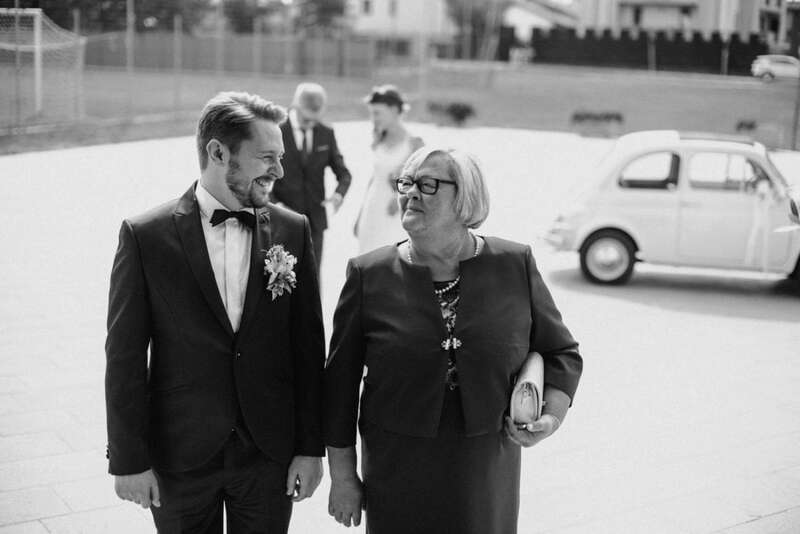 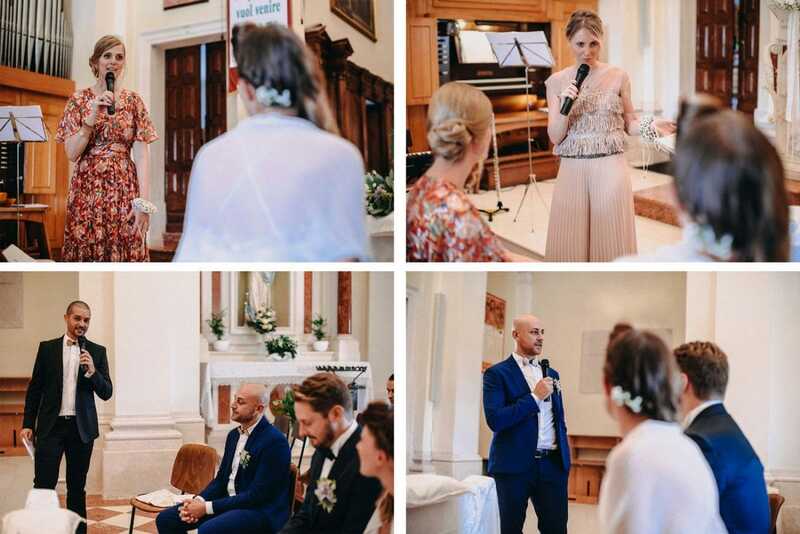 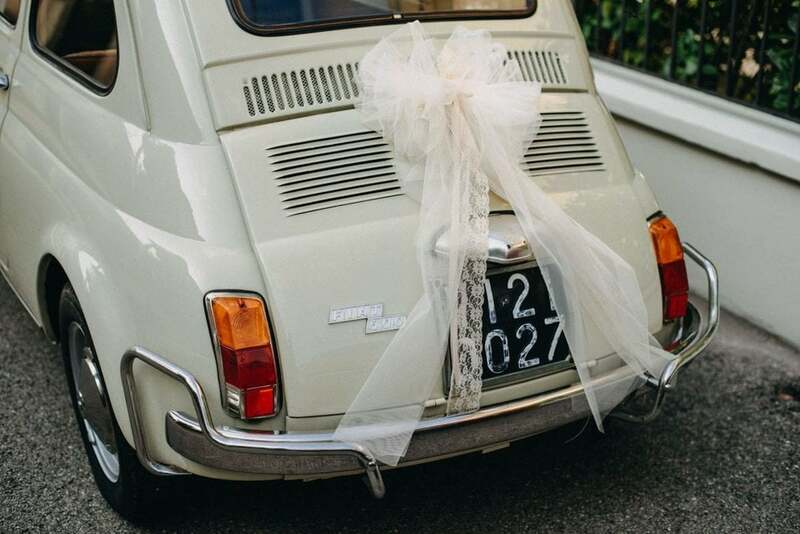 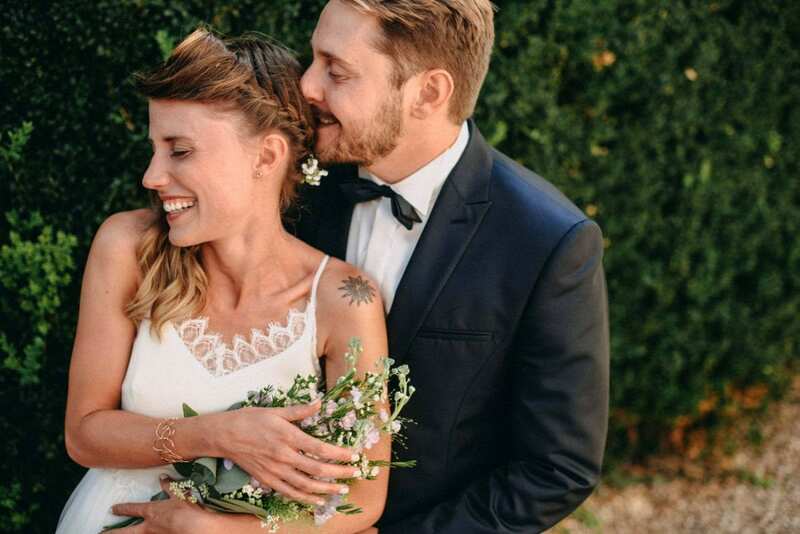 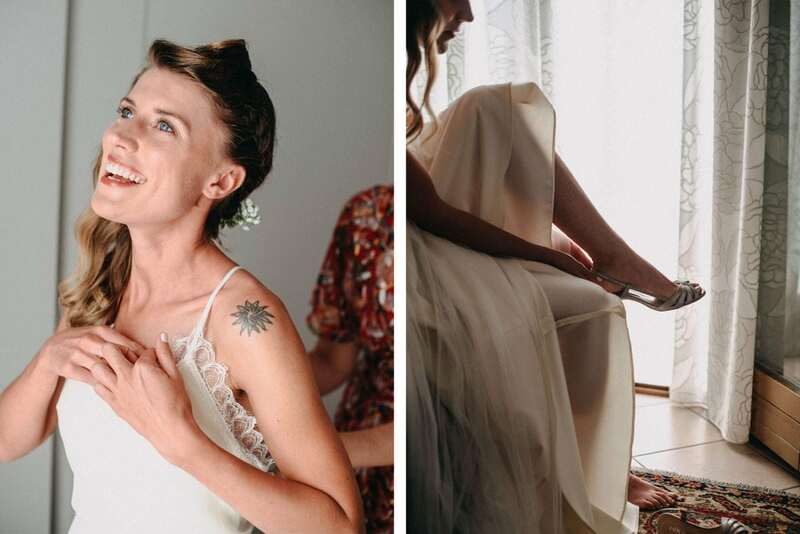 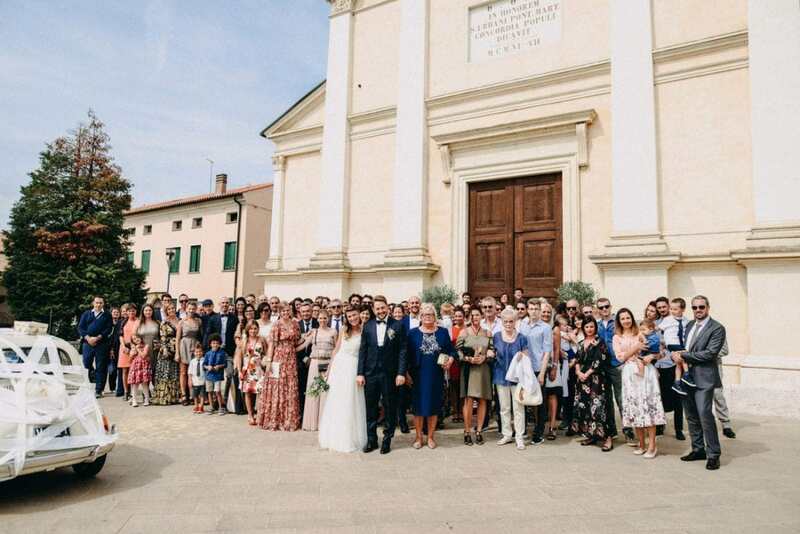 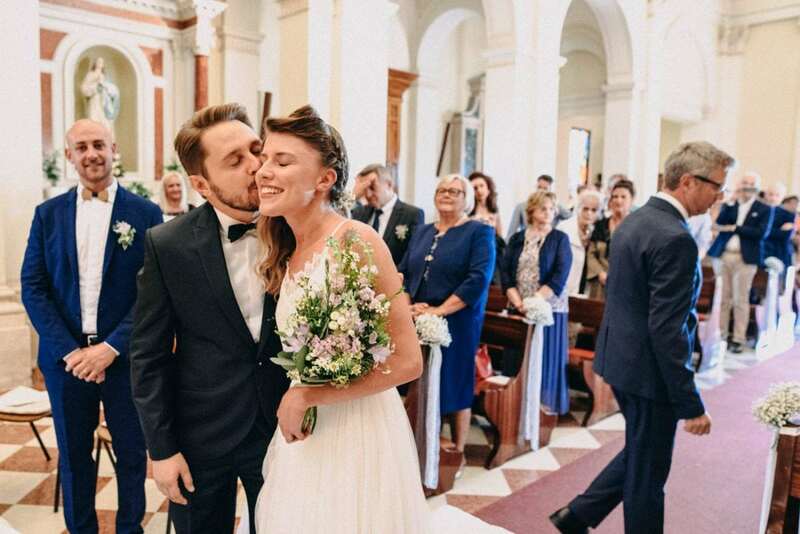 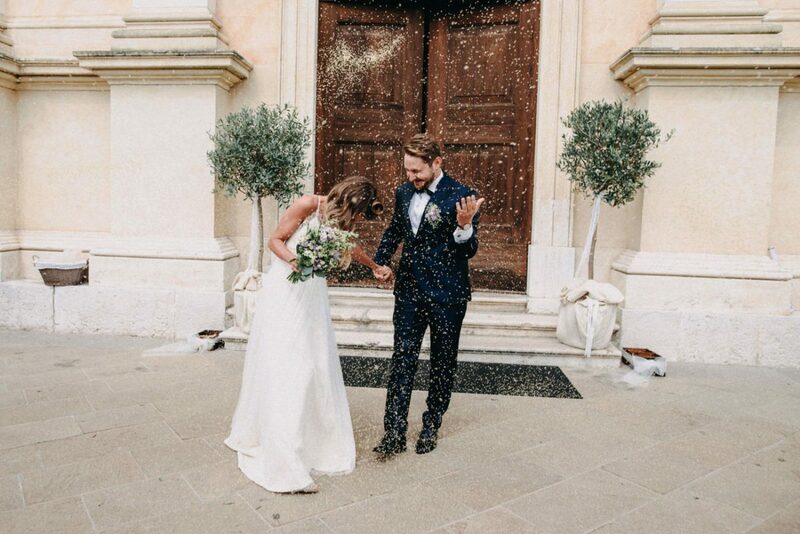 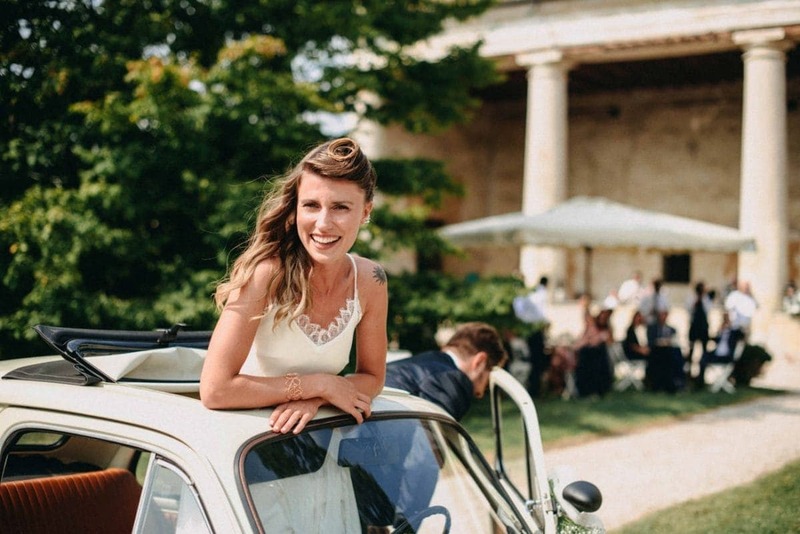 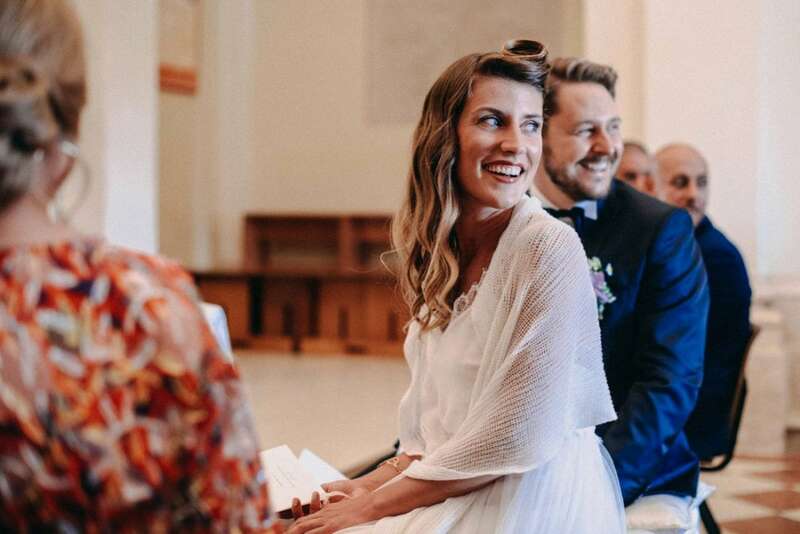 Sara arrived at the church on a beige vintage Fiat 500, while Simone was waiting for her with a beautiful vertical bouquet of wildflowers – perfectly in style for this lovely wedding! 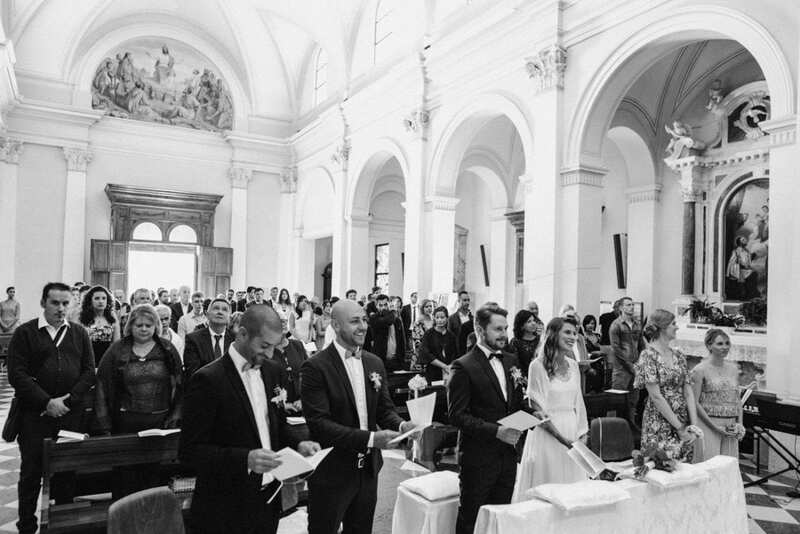 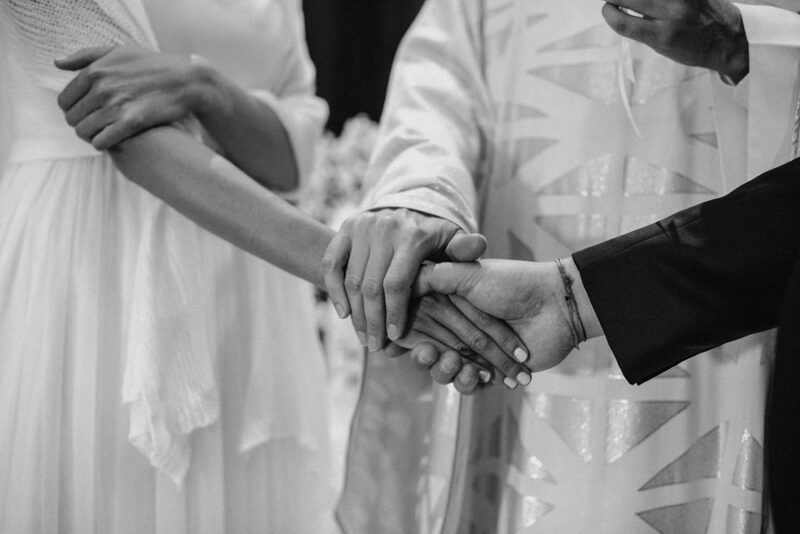 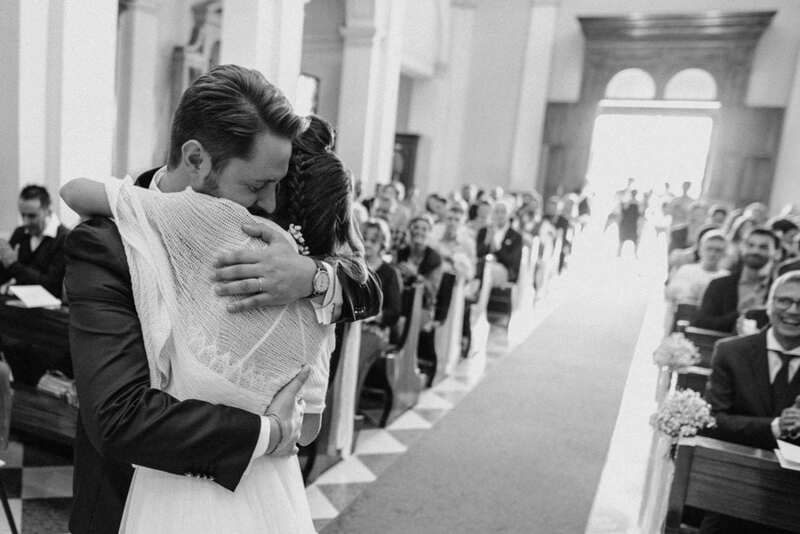 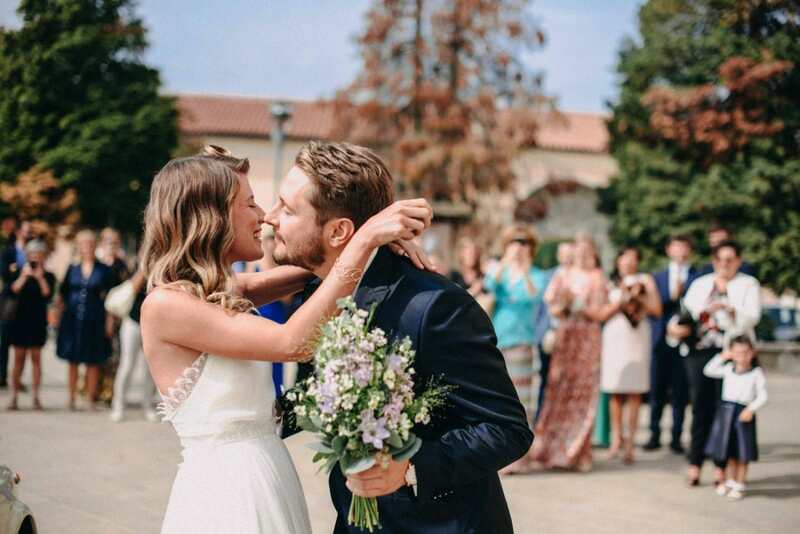 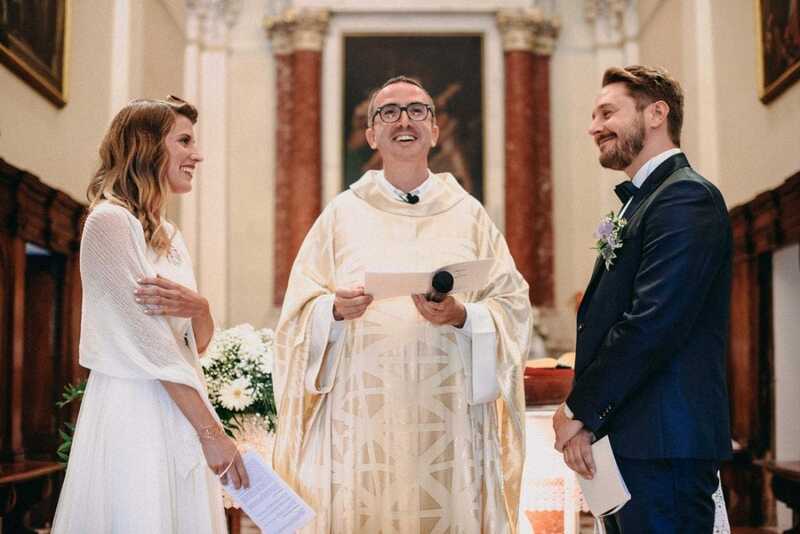 The Catholic ceremony was very intimate and heartfelt, and the priest was really involved in Sara and Simone’s lives. 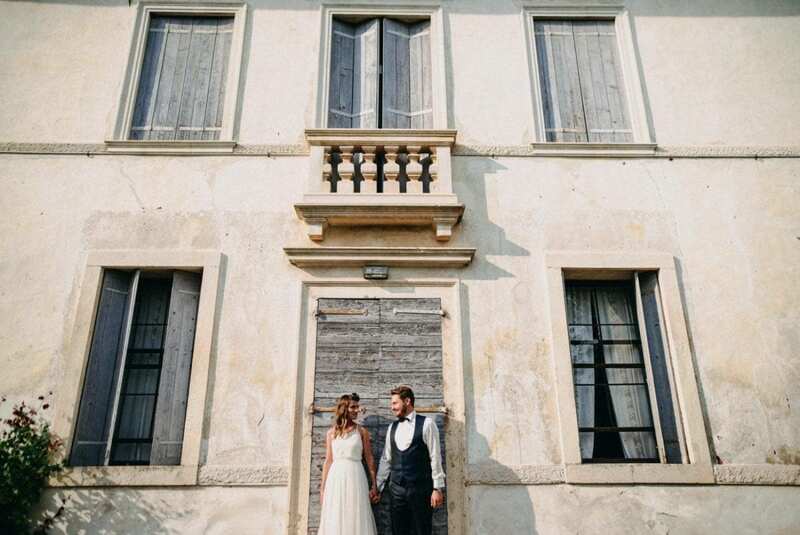 After the ceremony, we moved to the stunning Villa Sesso Schiavo in Sandrigo. 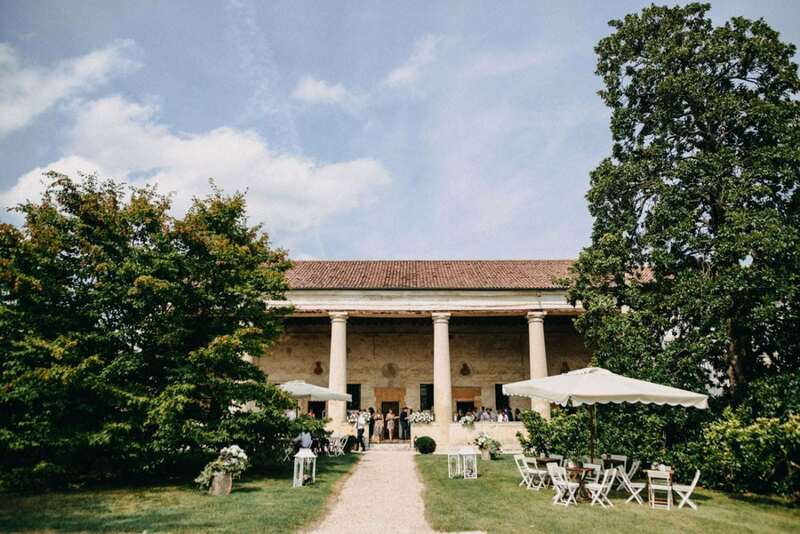 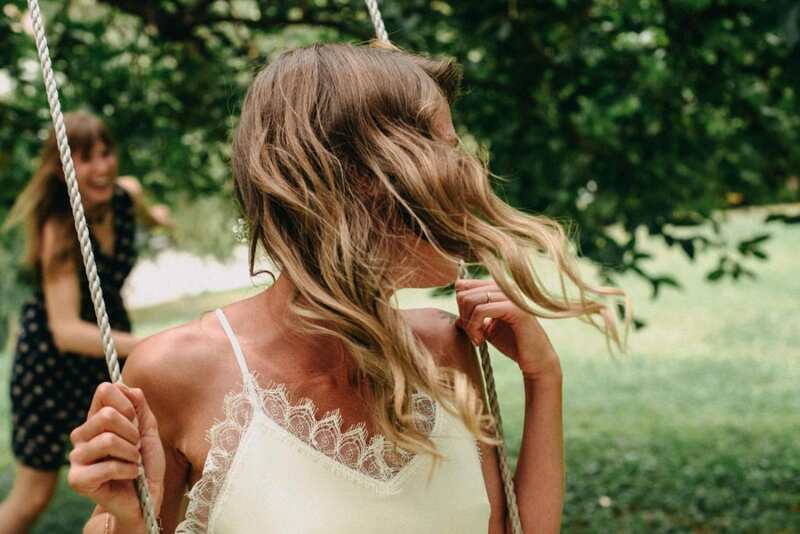 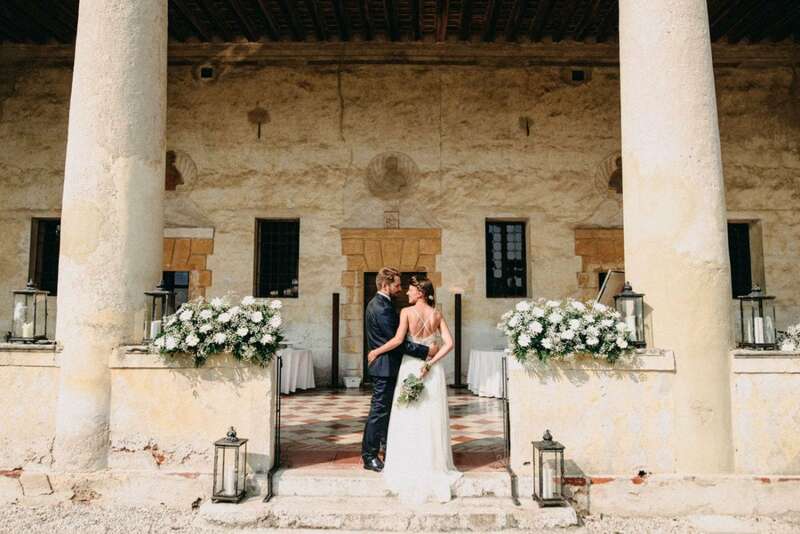 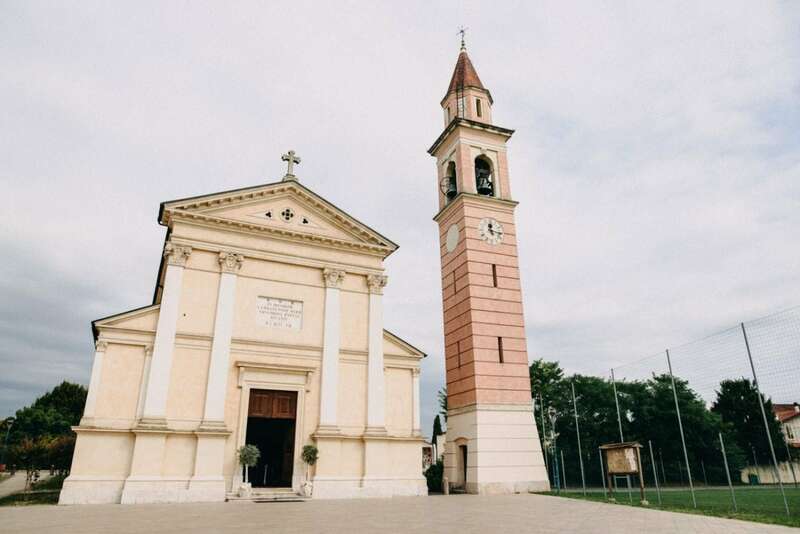 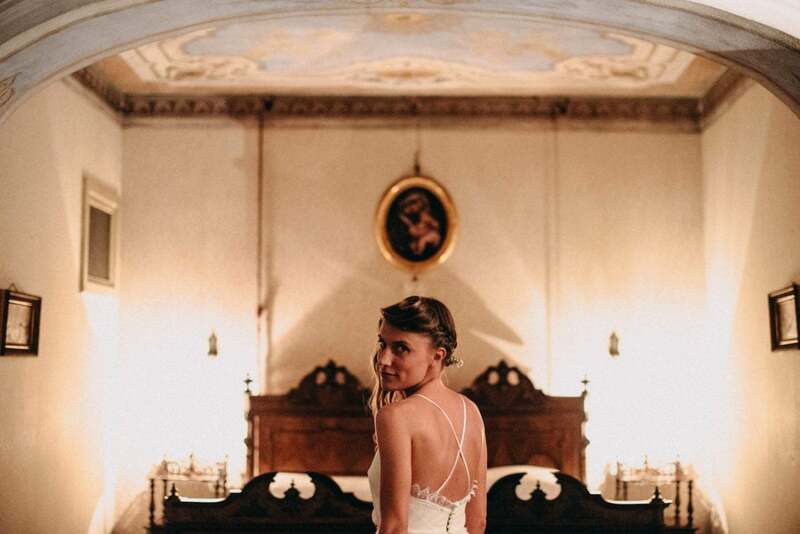 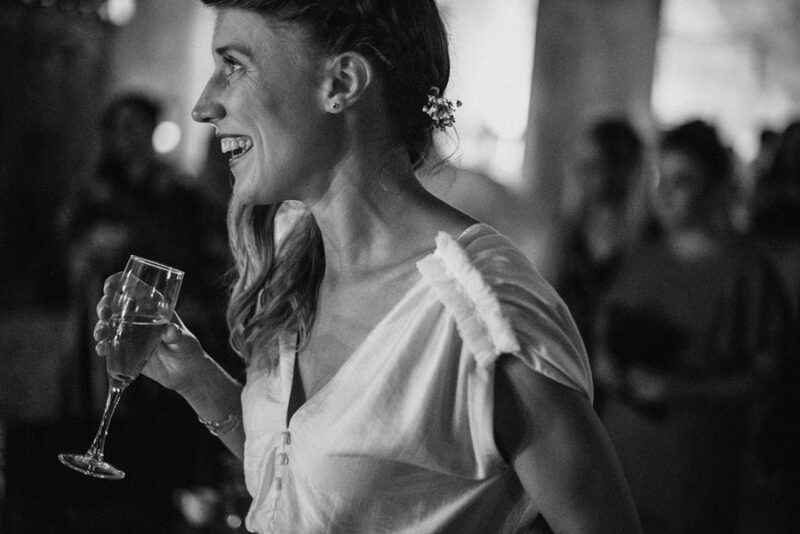 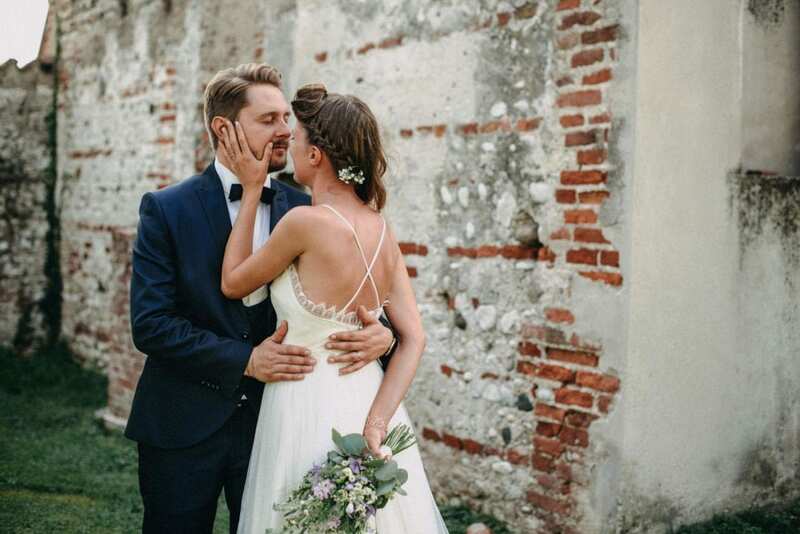 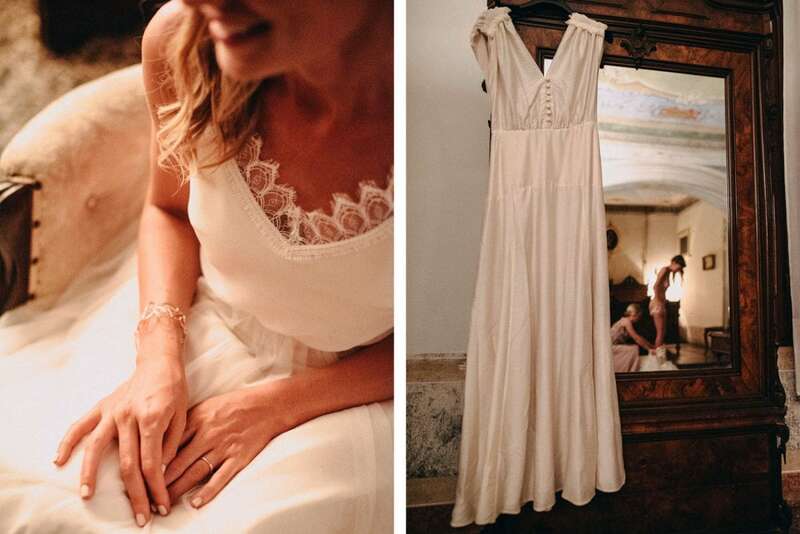 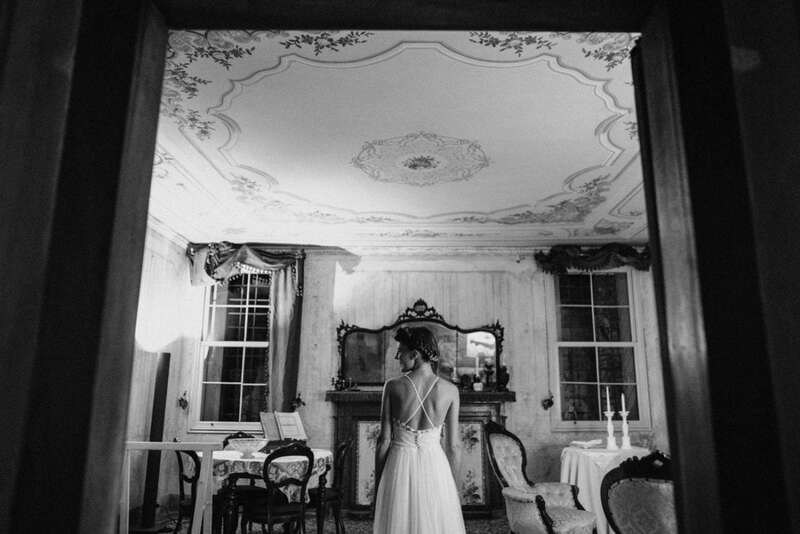 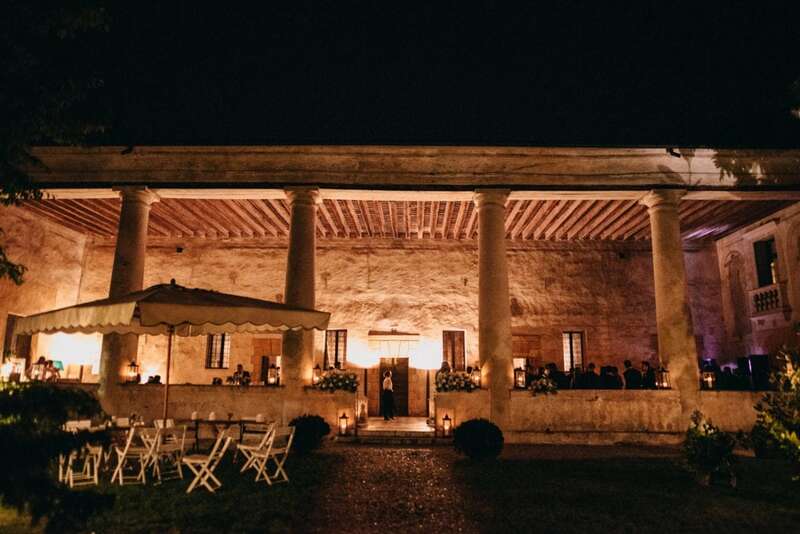 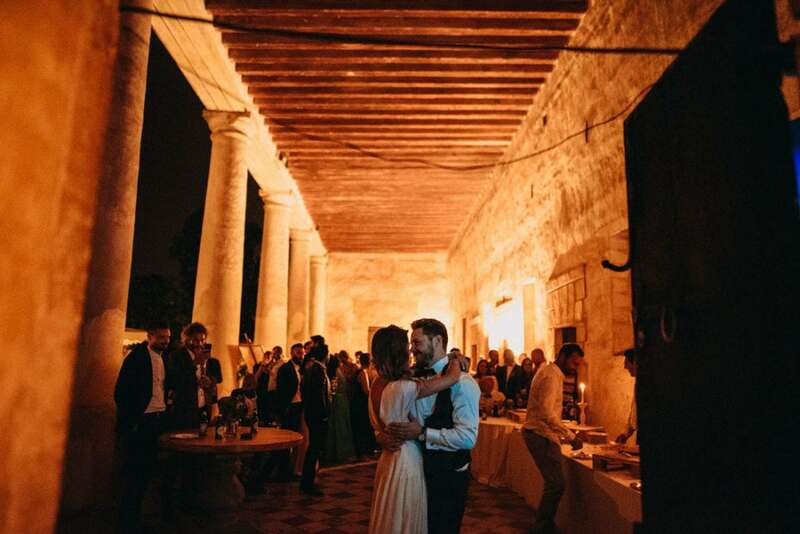 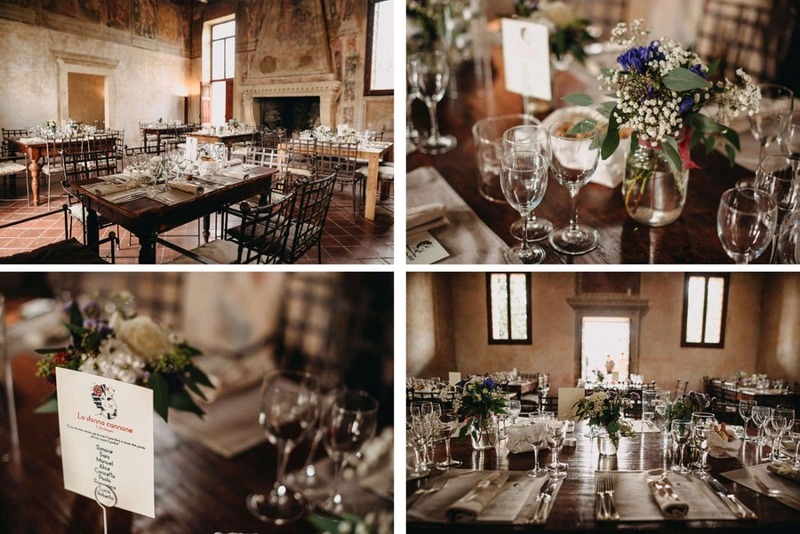 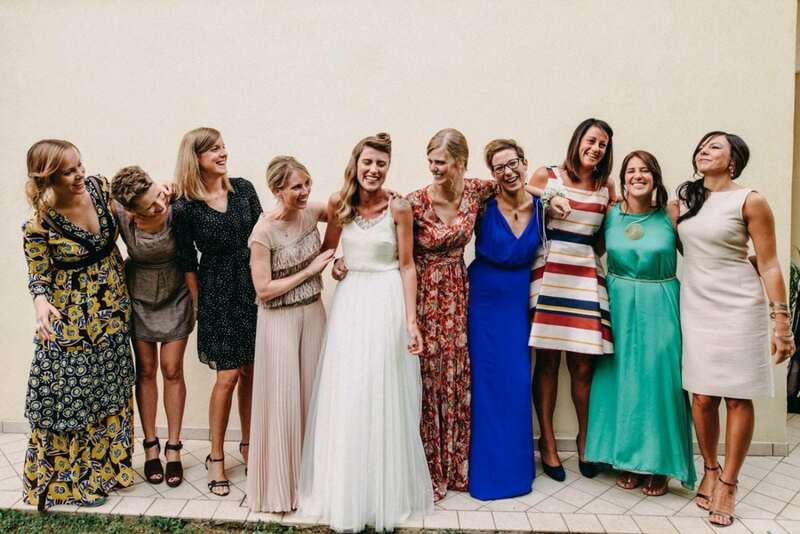 I totally love that location, an unfinished Palladian Villa in the fields – totally perfect for a vintage wedding. 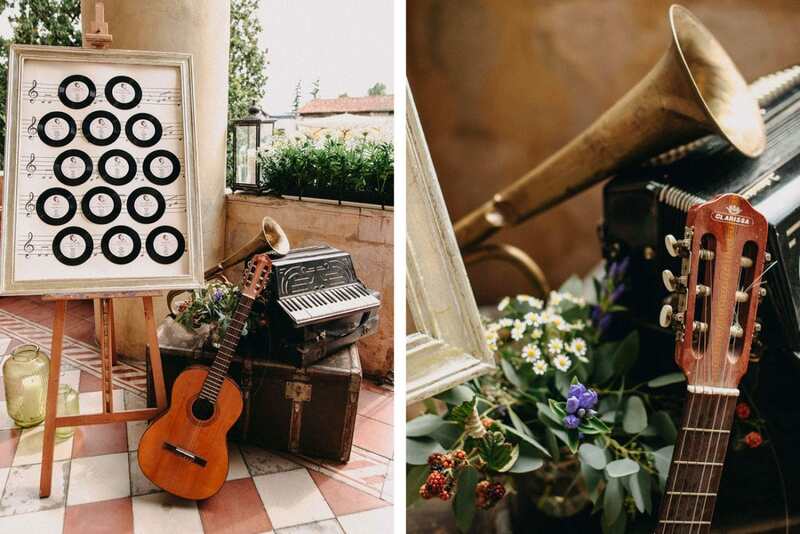 I absolutely loved the choice of the floral and table set ups: wildflowers in glasses, wooden tables with linen placemats, vintage metal chairs… And most of all, a lot of real vintage furniture, rented for the occasion! 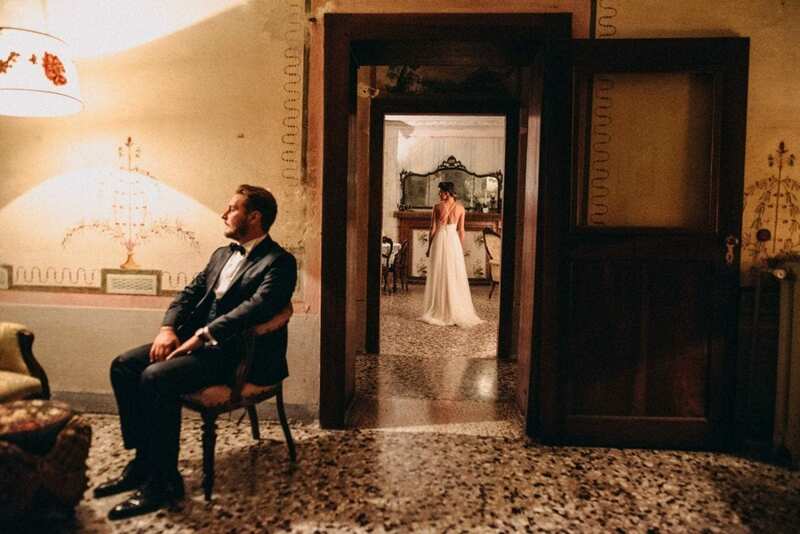 We had the couple photo session there, then the wedding lunch began. 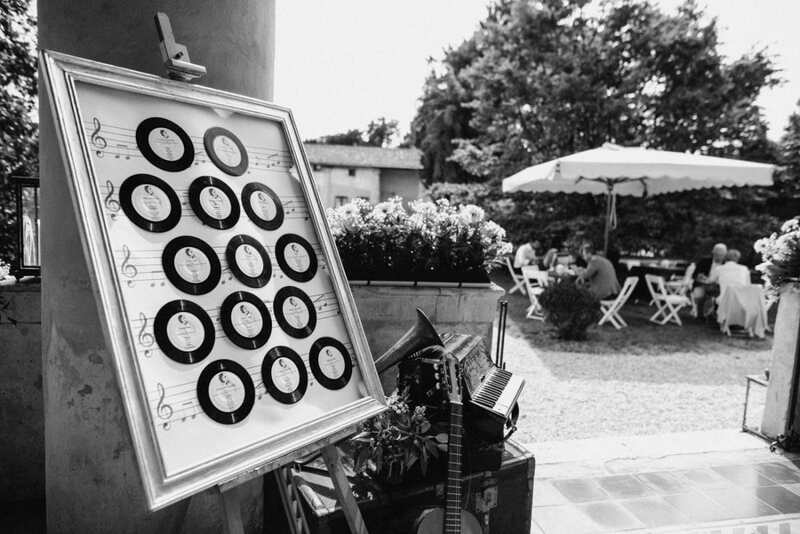 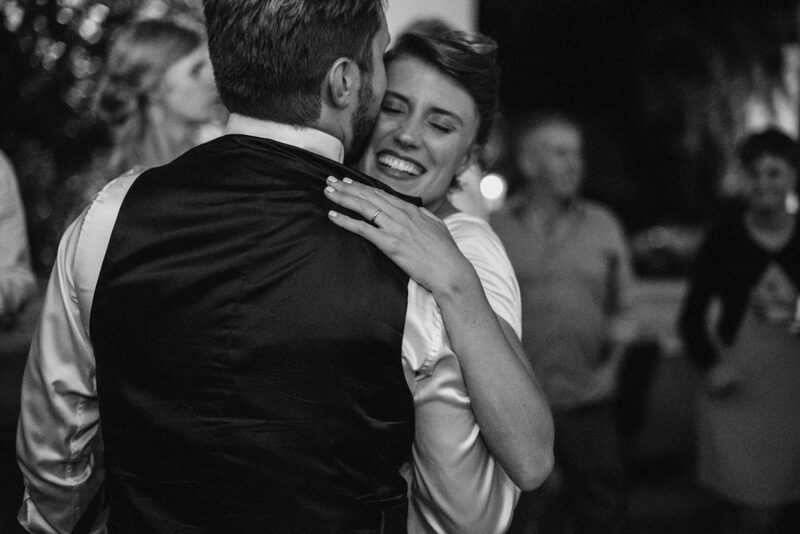 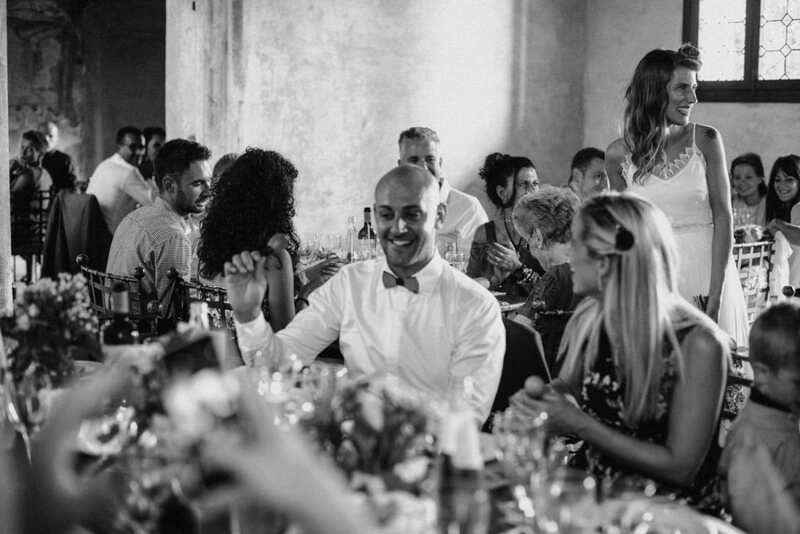 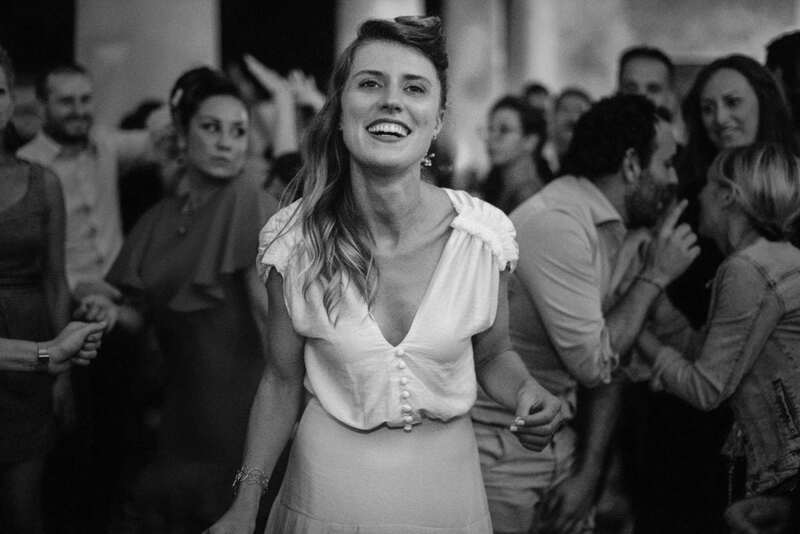 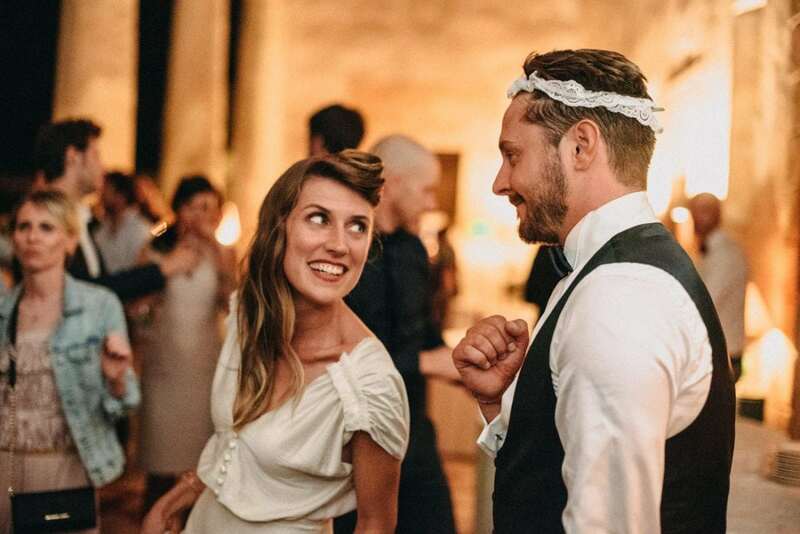 The music was the main focus of the wedding, and it gave the right rhythm to the day! 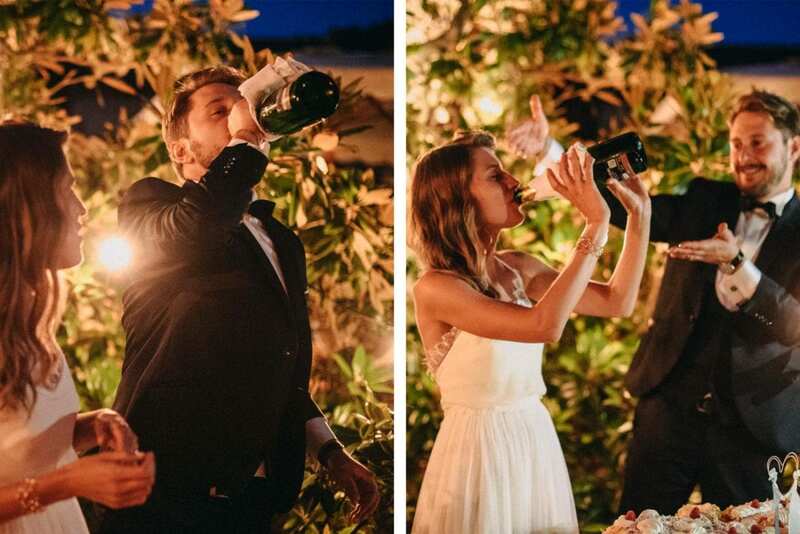 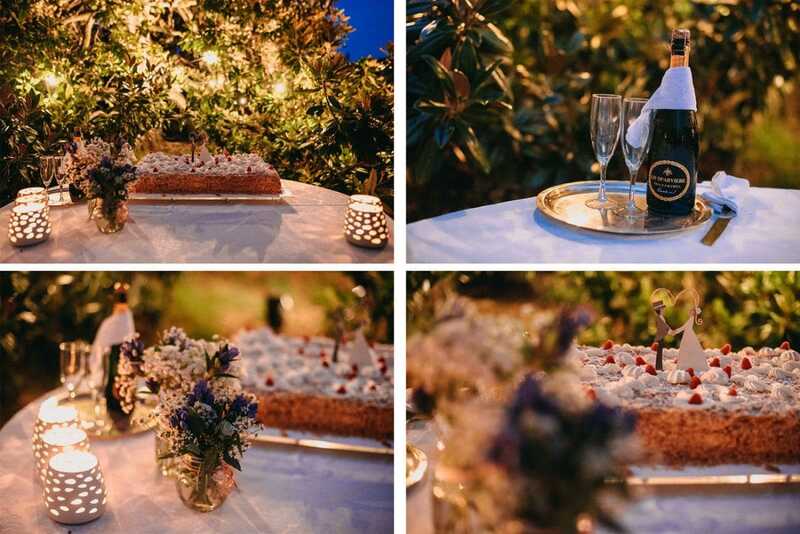 After cutting the cake and having a hilarious toast (let’s wash the guests in champagne and drink from the bottle!) 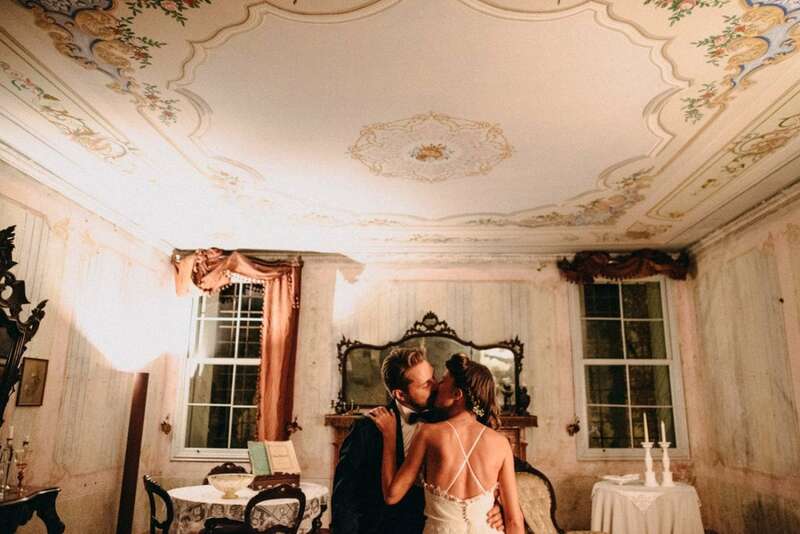 we had some other couple photos in the amazing frescoed rooms of the villa. 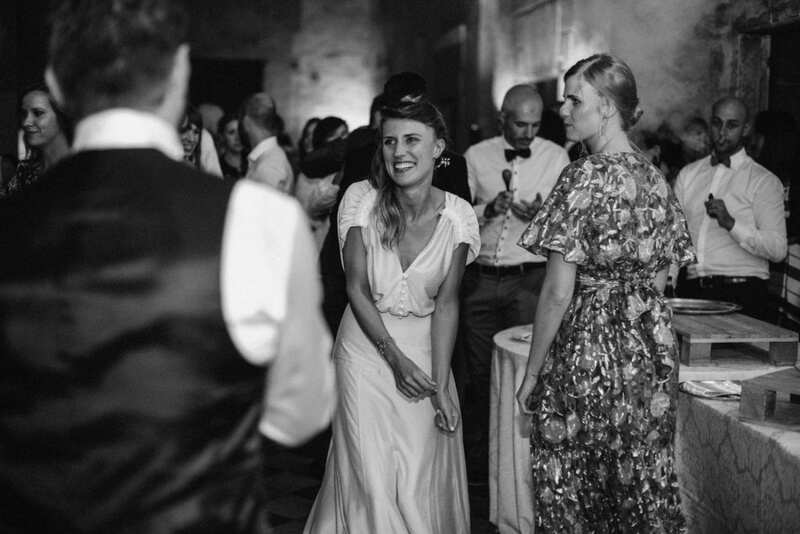 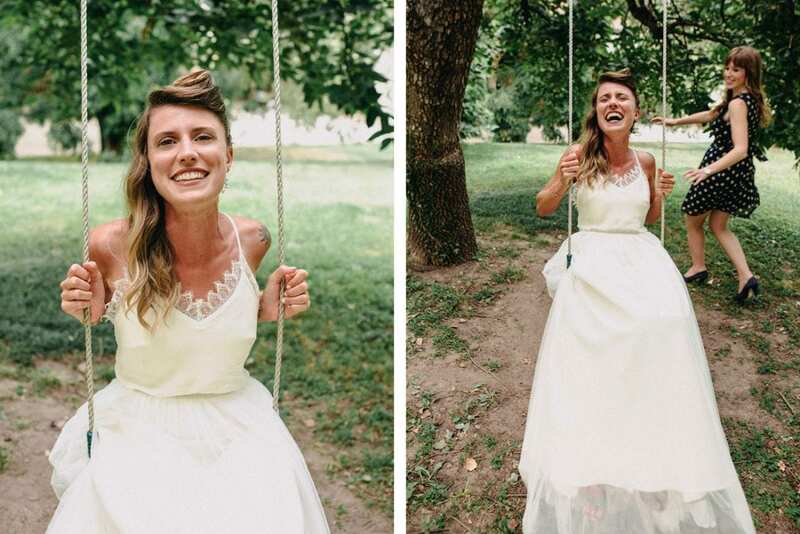 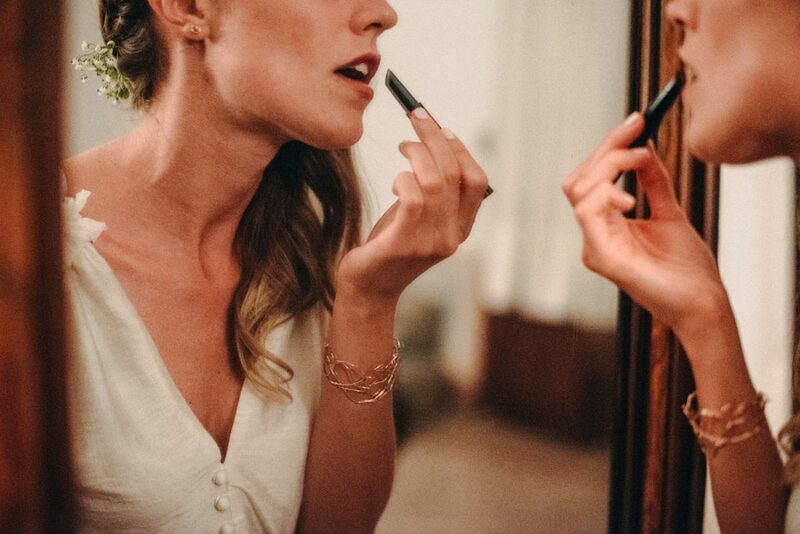 After that, Sara had a surprise for Simone: a second wedding dress, red lipstick and a song to sing to her groom. 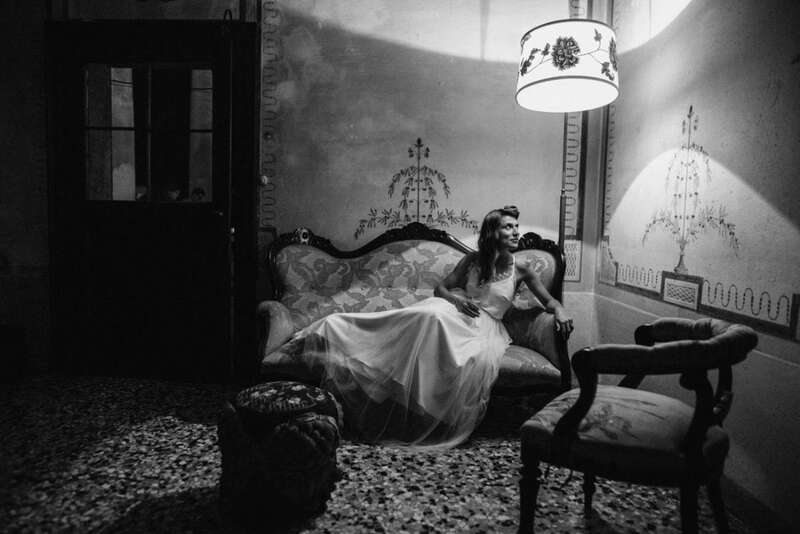 Fumo Blu by the Italian singer Mina. 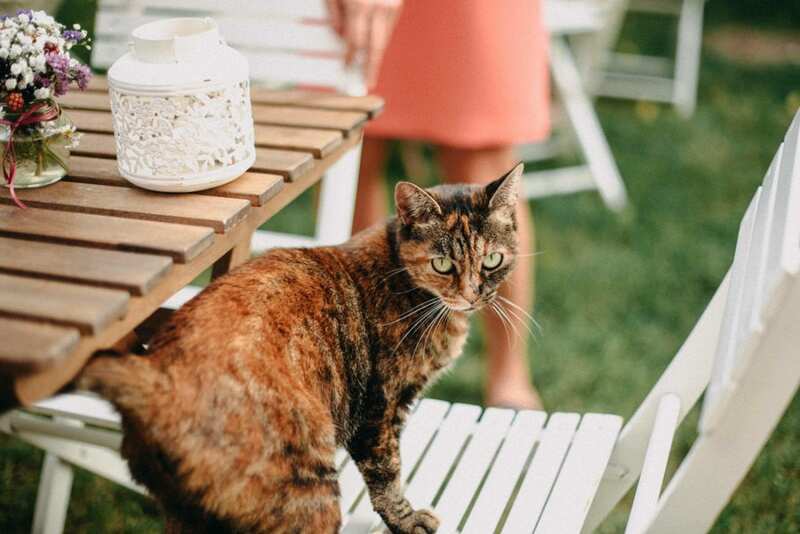 The party went on under the porch with some 70s-80s-90-s and 2000s music. 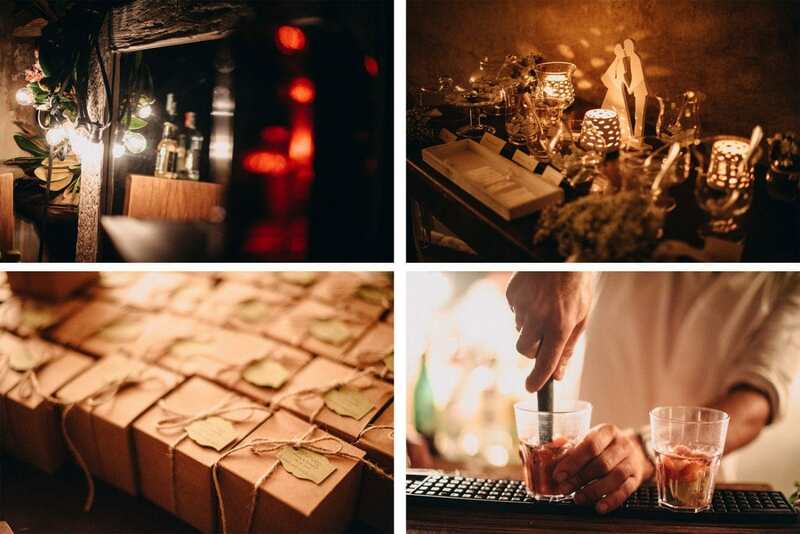 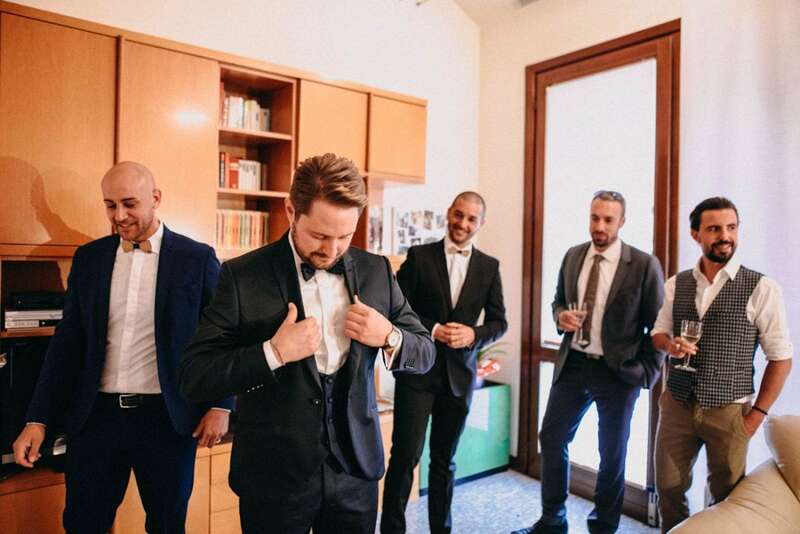 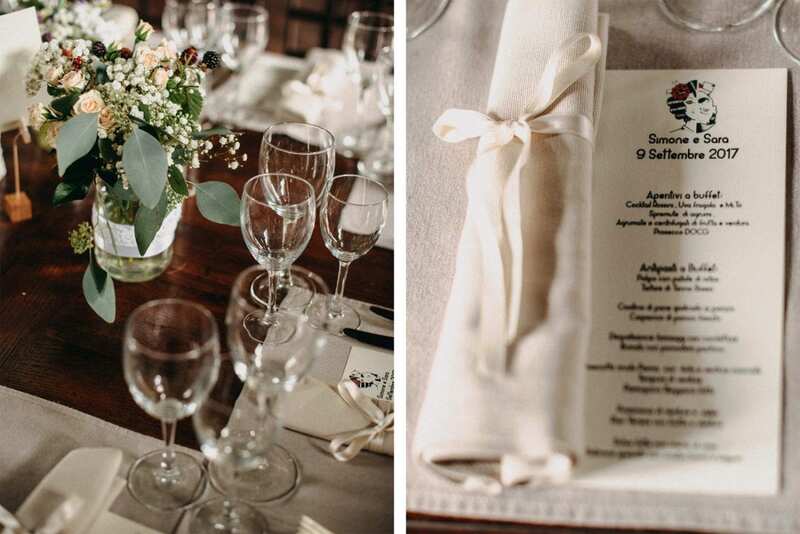 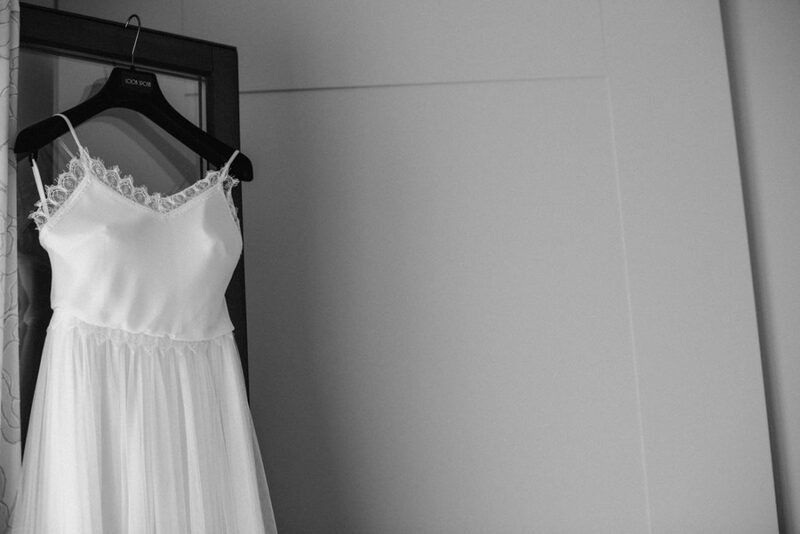 Such a lovely and rich in details wedding… I totally loved it!